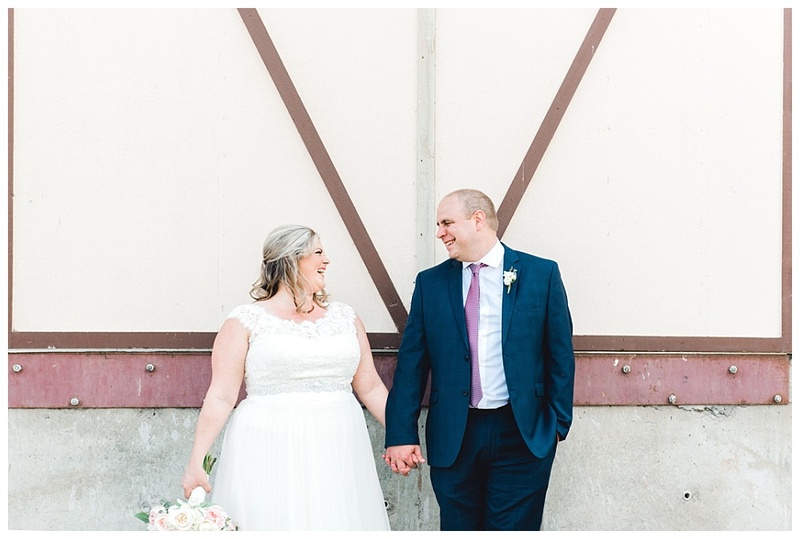 Anne and Chris met online and dated for four years before getting engaged right before they finished moving into their first home together. 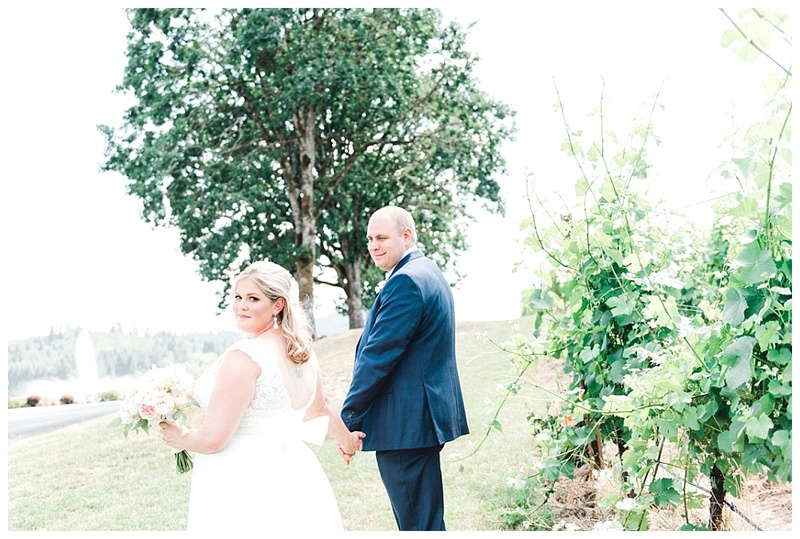 They are avid travelers and two of the nicest people you will ever meet. 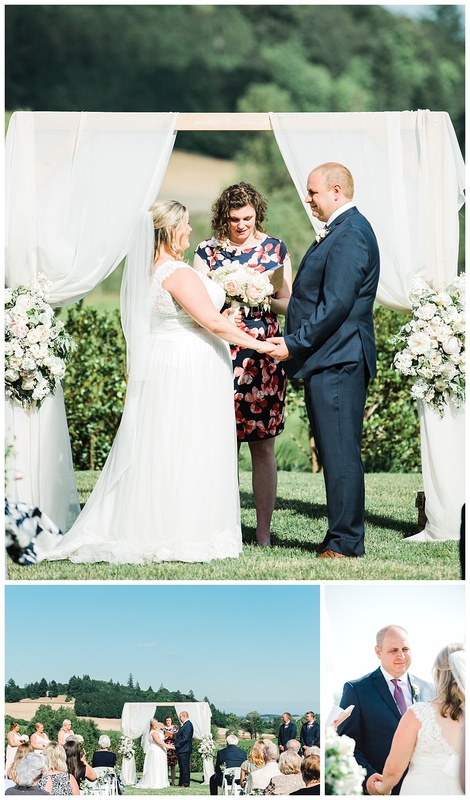 When I met them at their engagement session, I also had the pleasure of meeting their golden-doodle, Oliver, a rambunctious and adorable puppy. 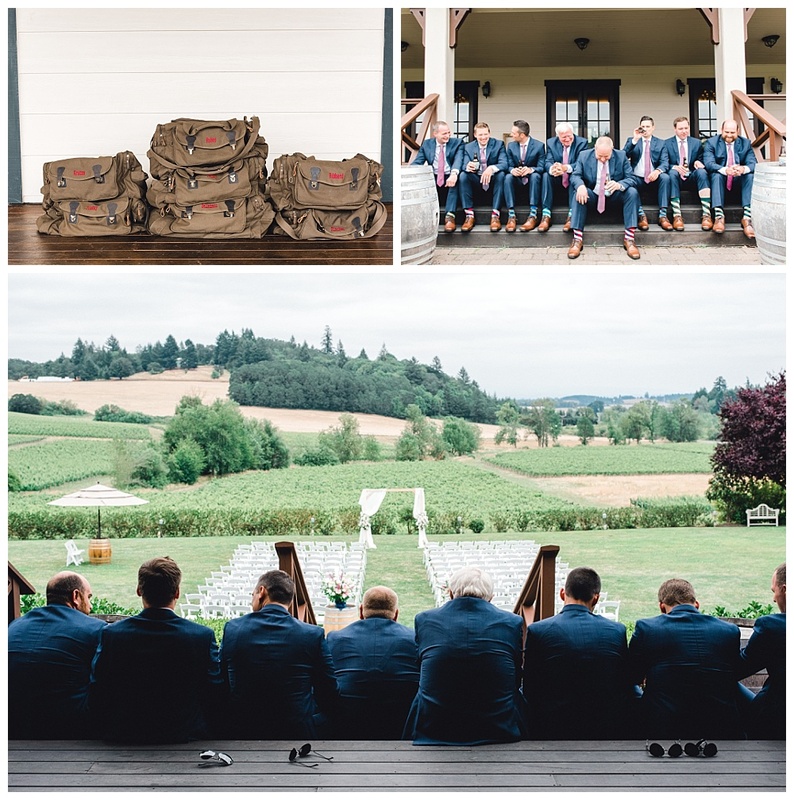 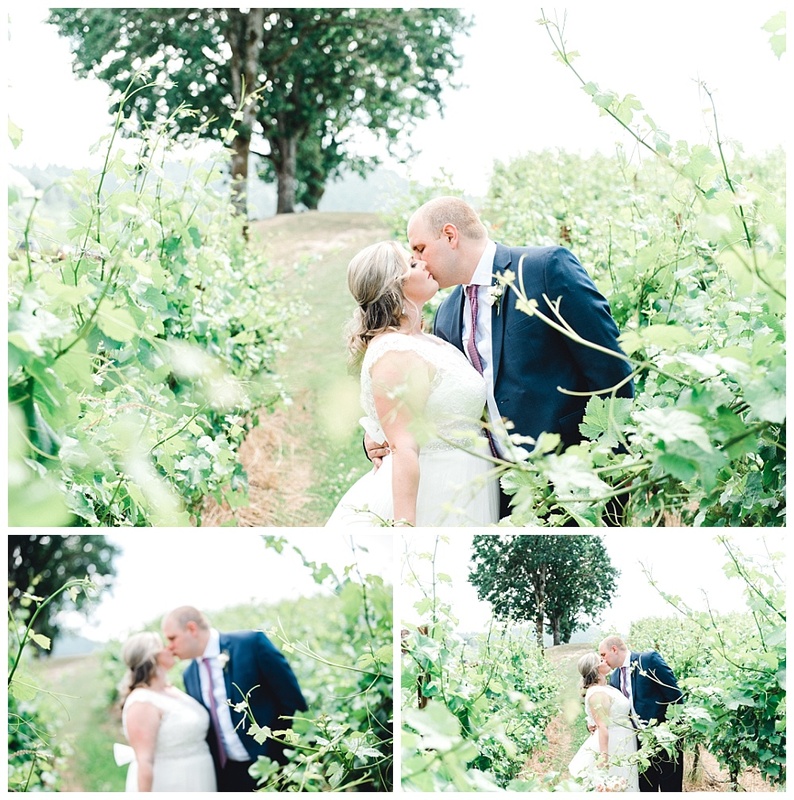 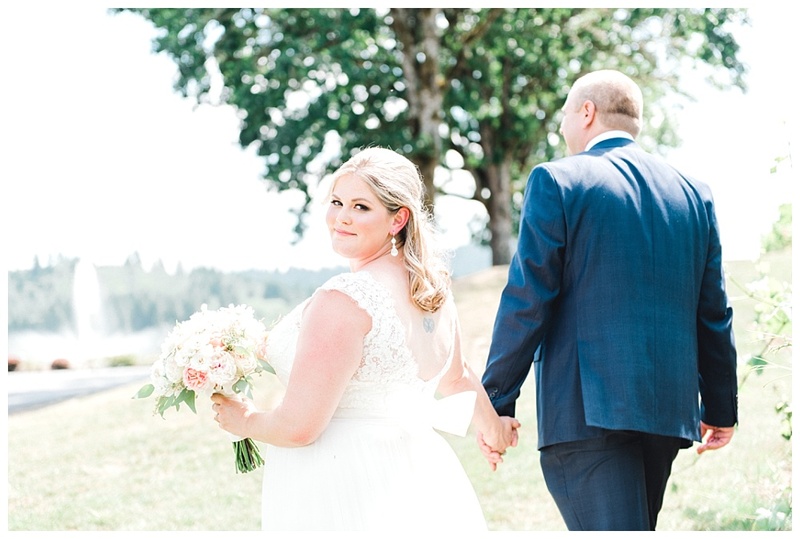 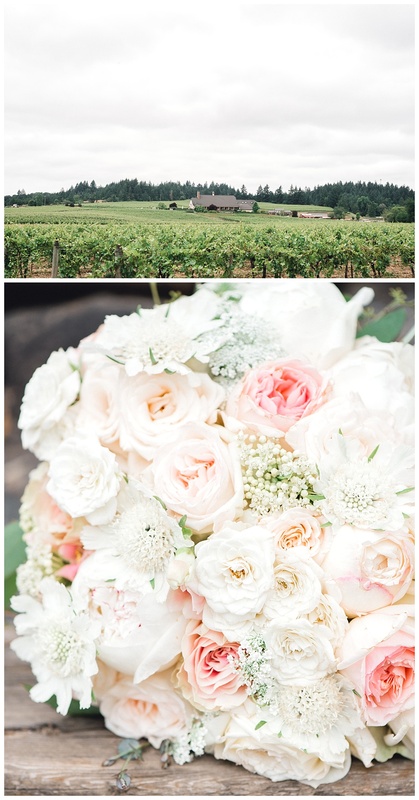 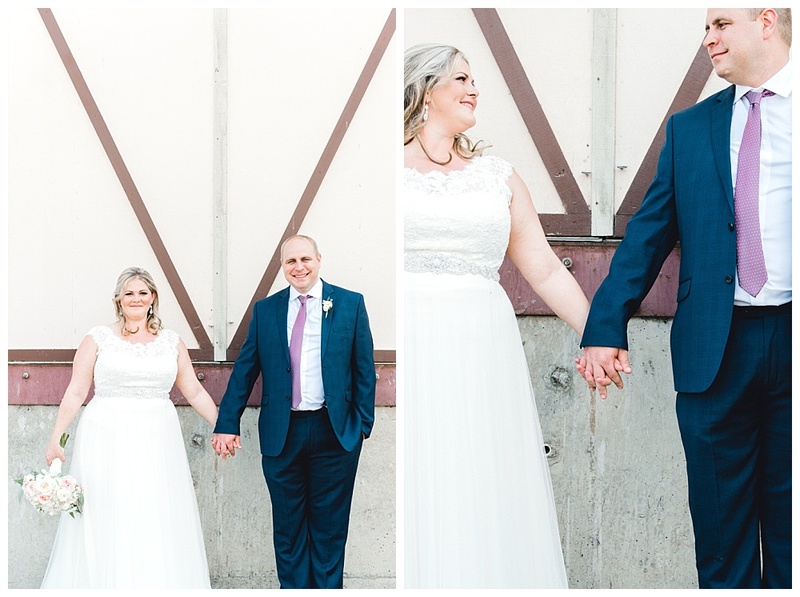 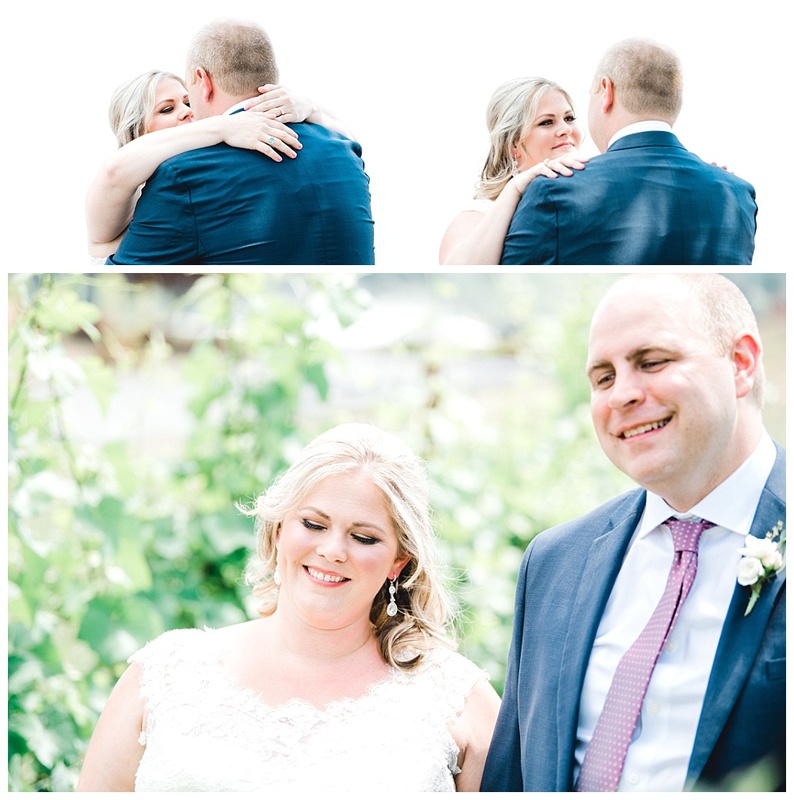 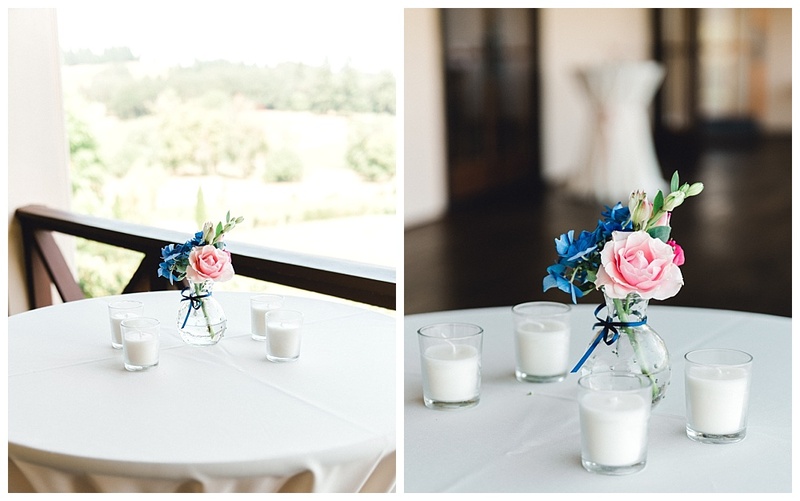 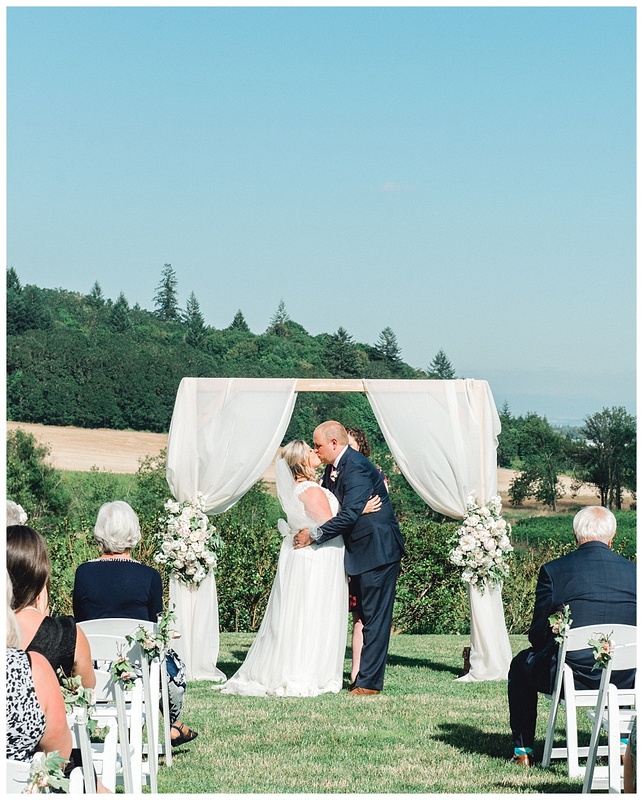 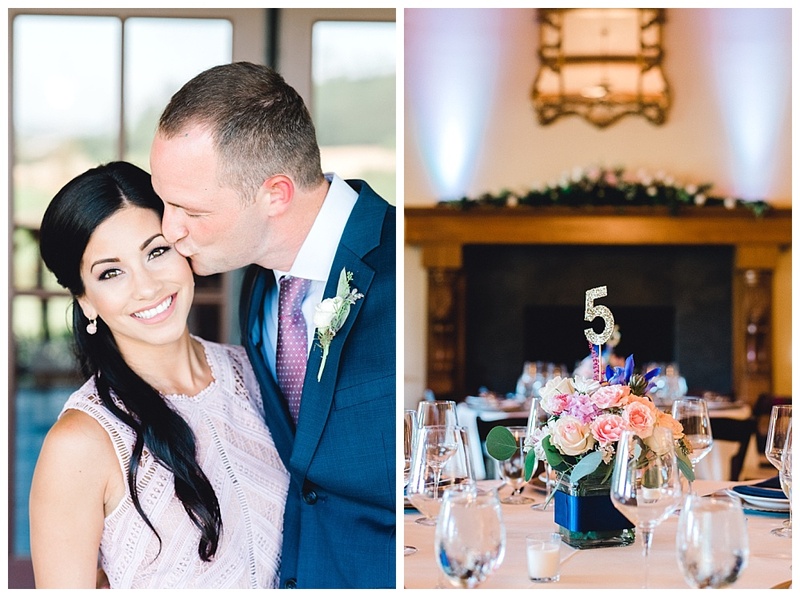 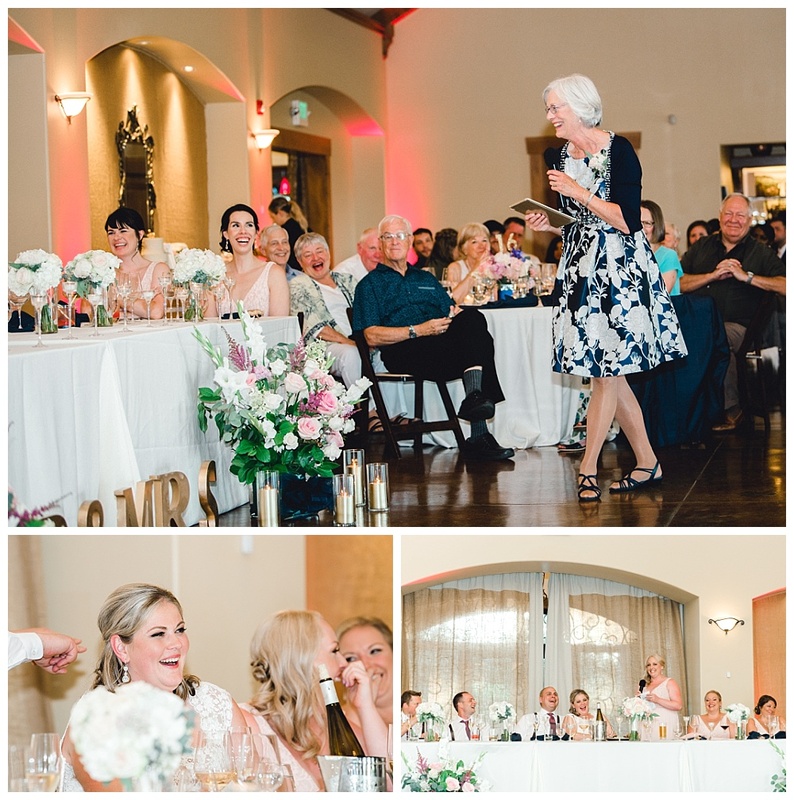 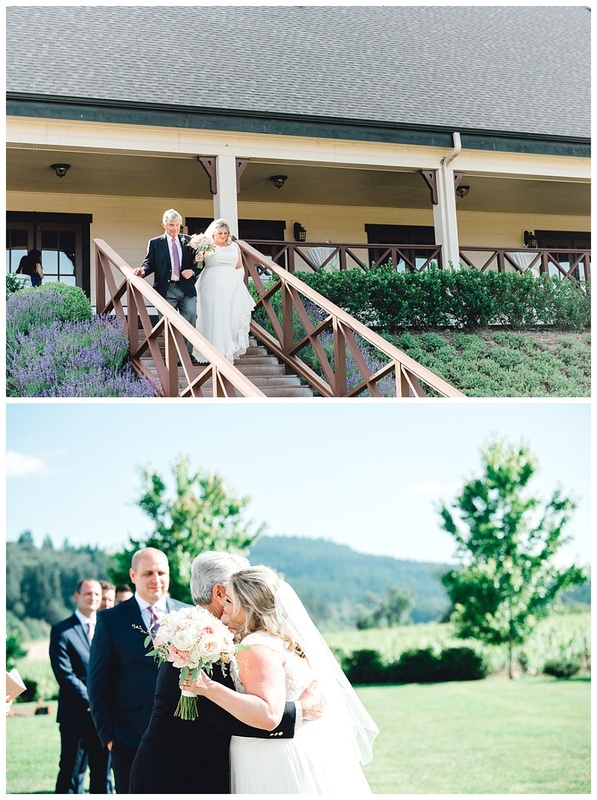 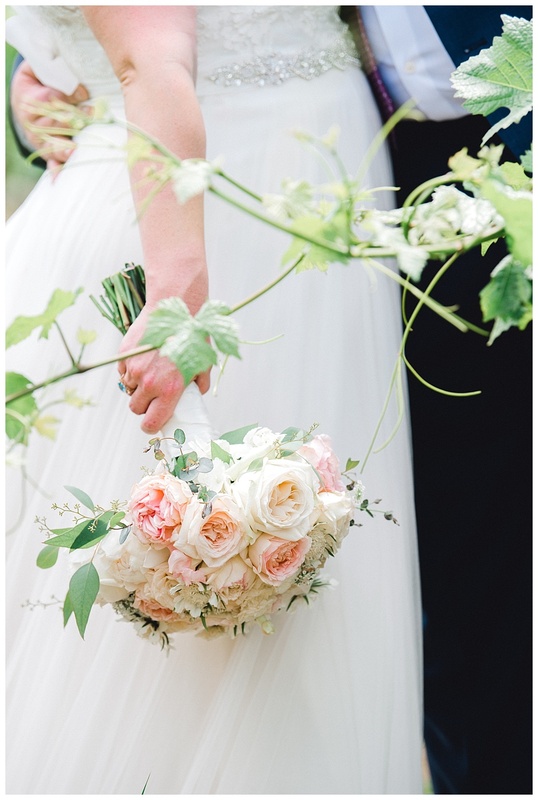 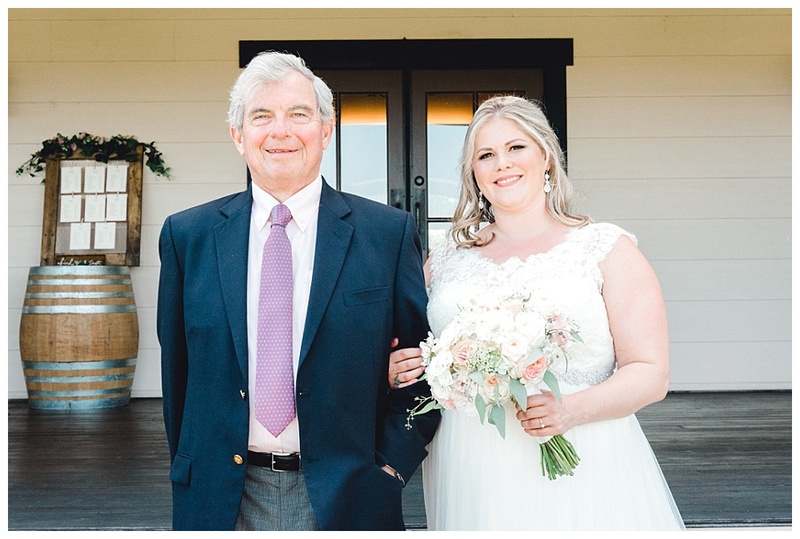 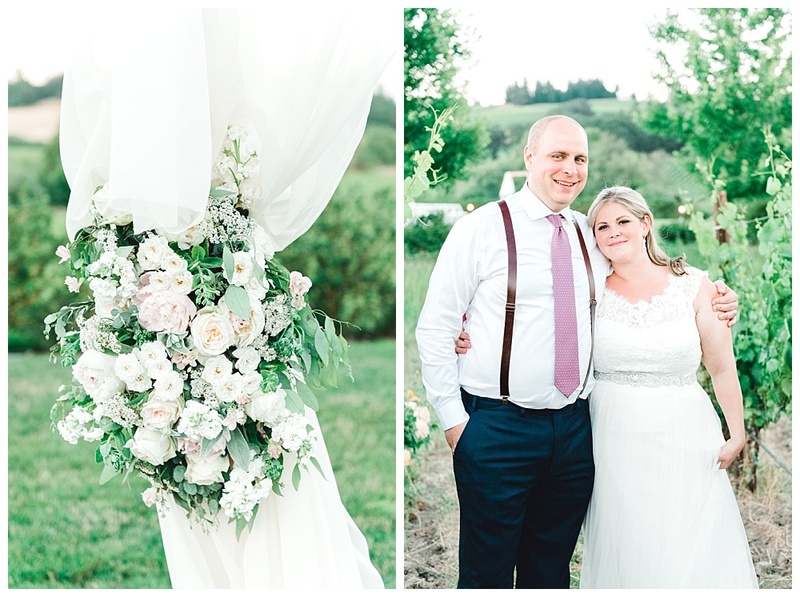 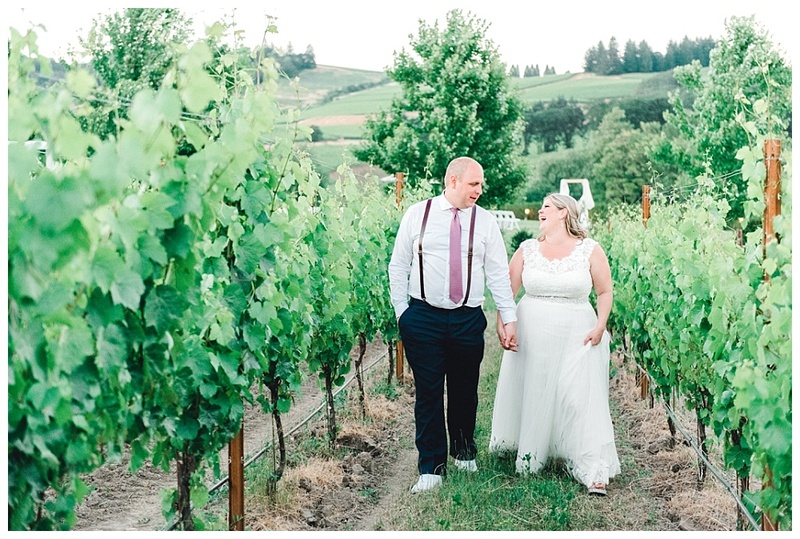 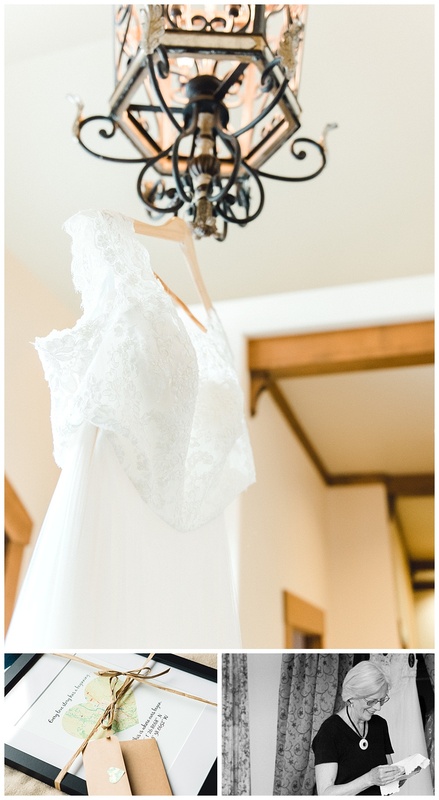 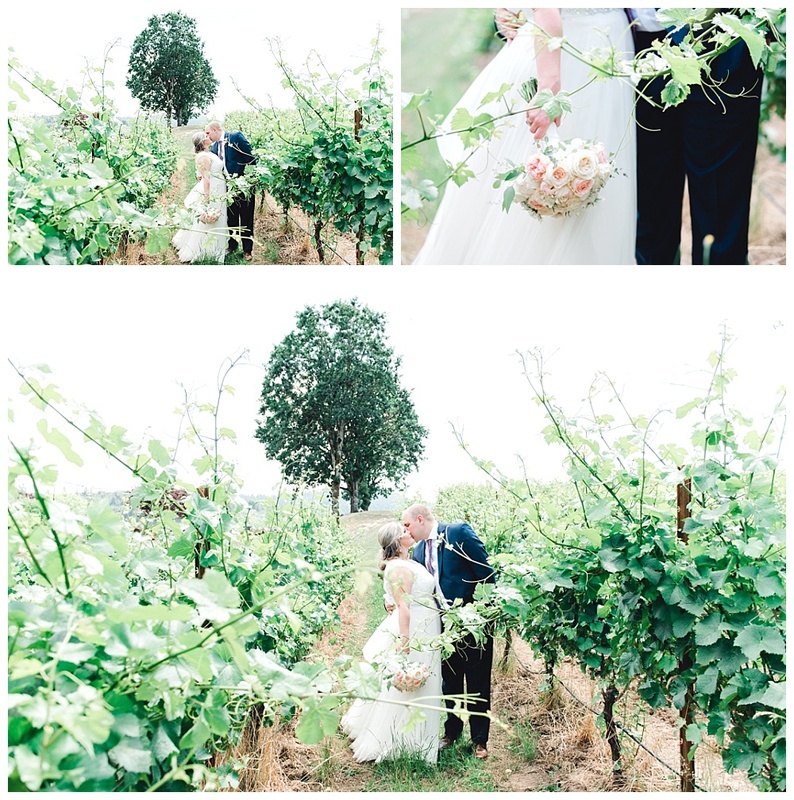 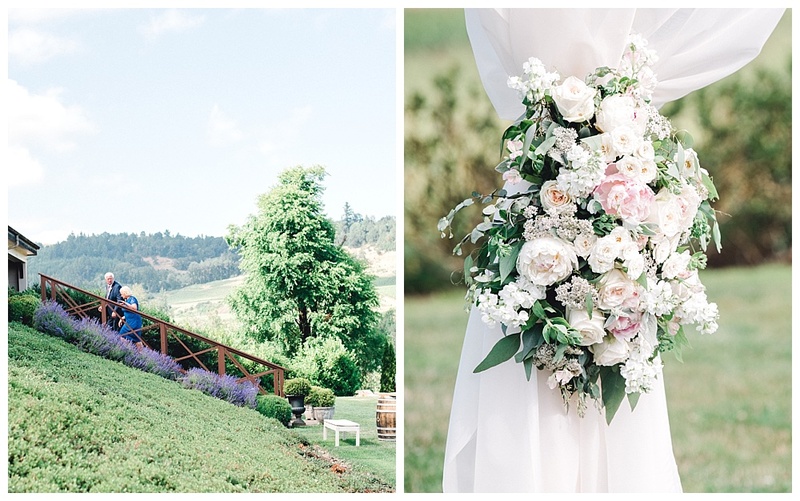 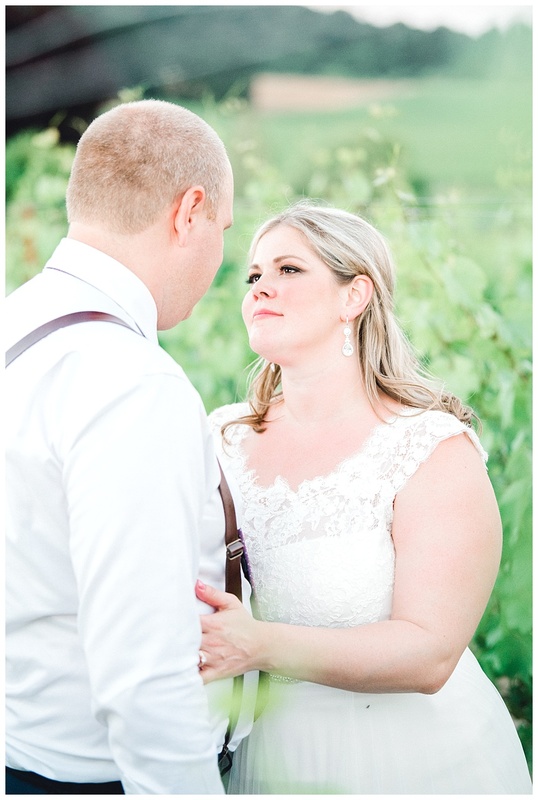 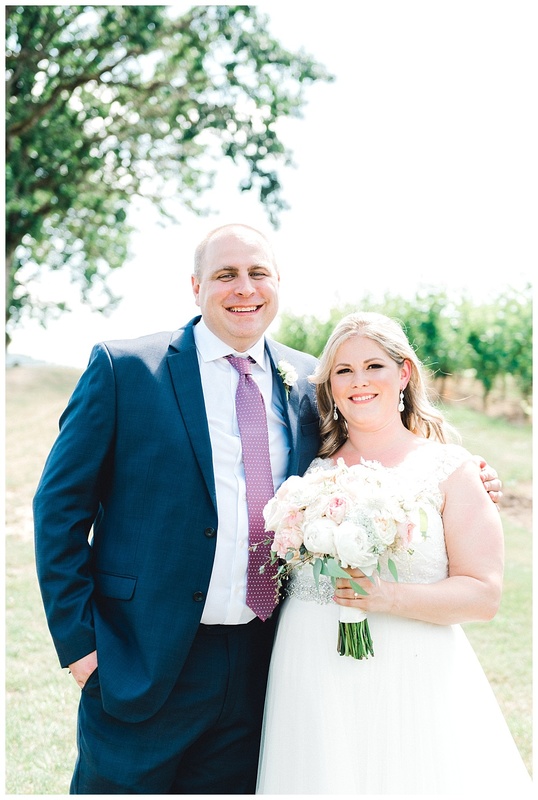 Anne and Chris were married at a stunning location in Oregon Wine Country called Zenith Vineyards. 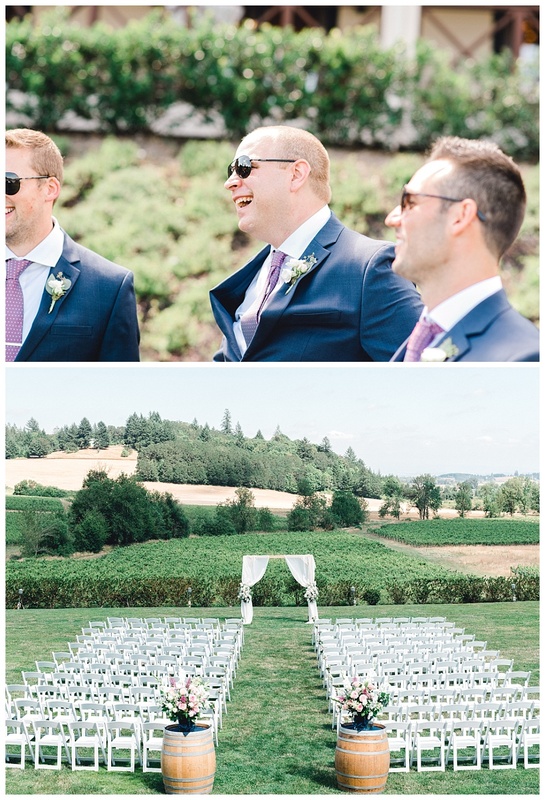 It was a fun, beautiful and laid-back event with things going extremely smoothly. 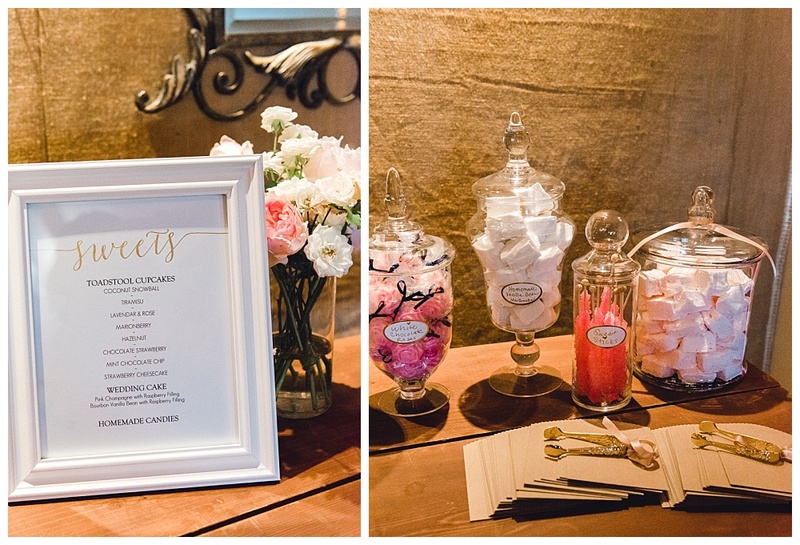 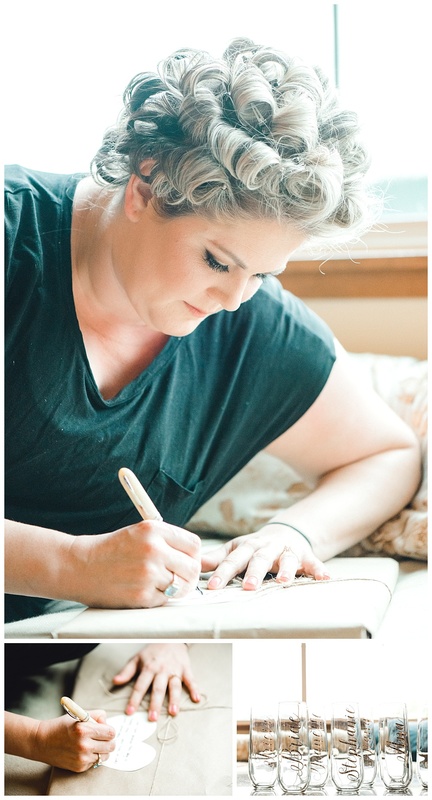 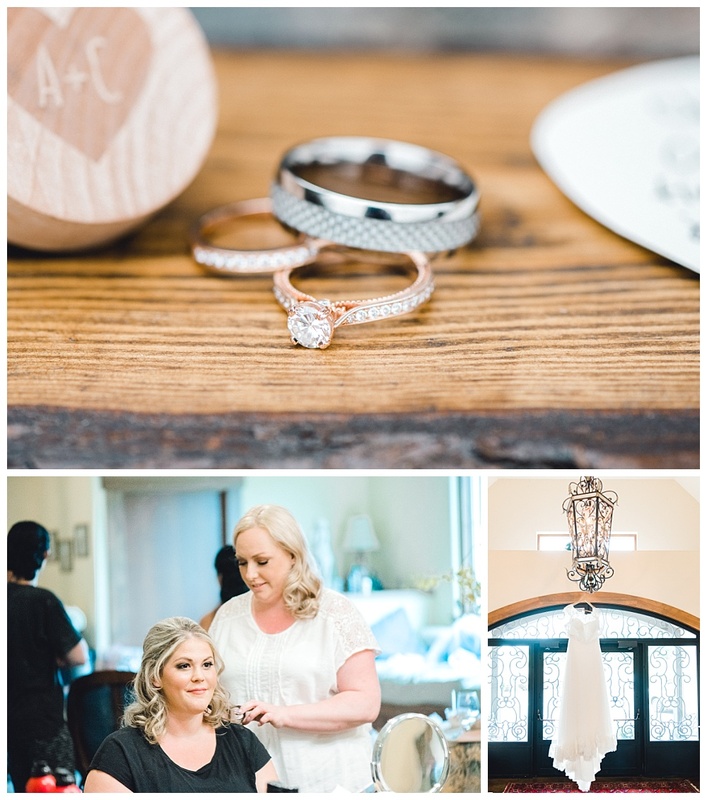 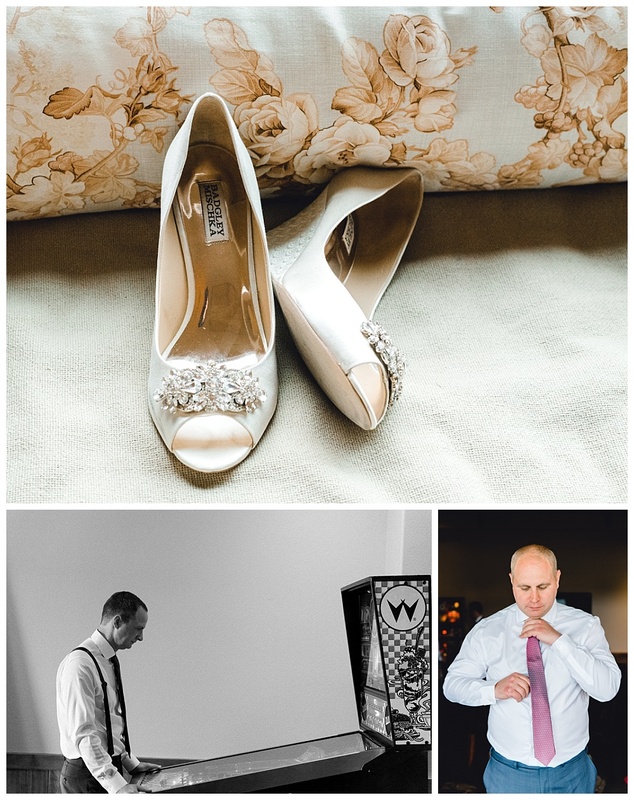 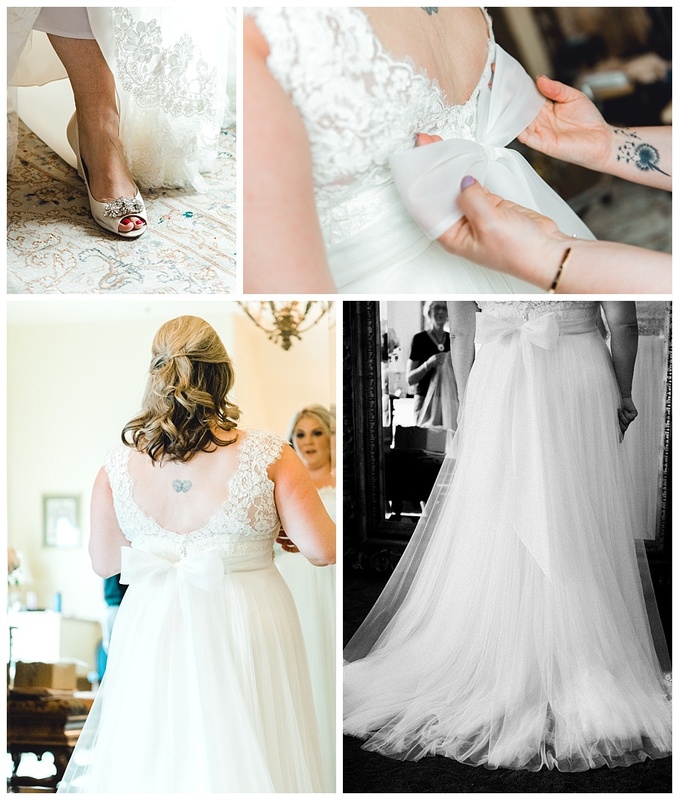 Anne was one of the sweetest, most organized brides I have worked with to date. 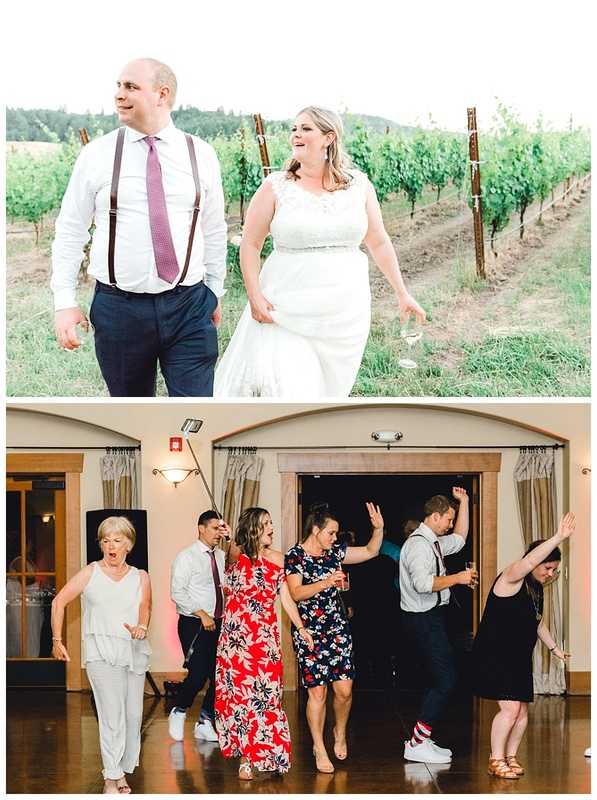 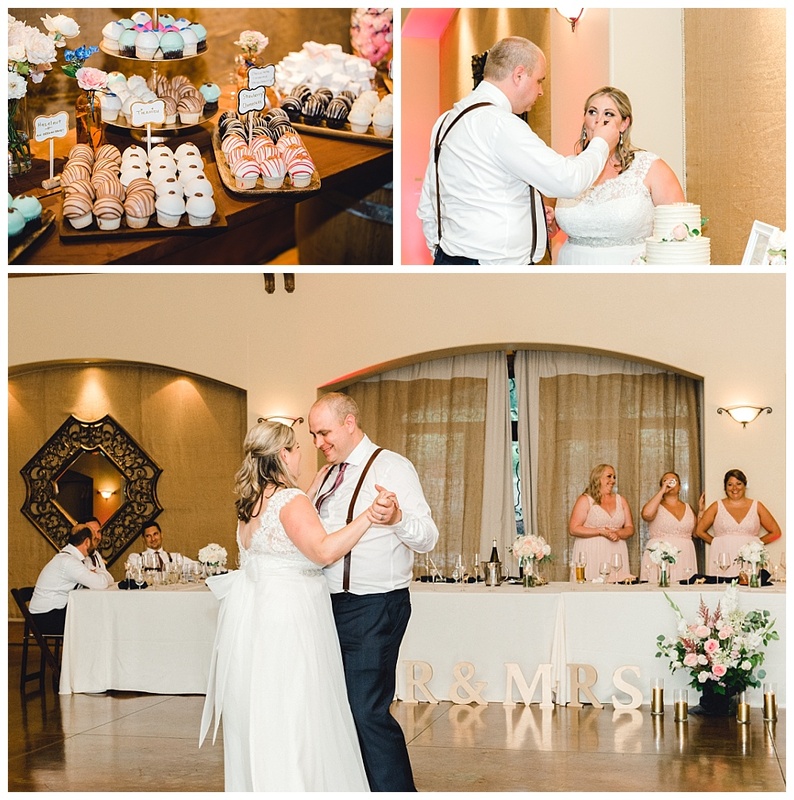 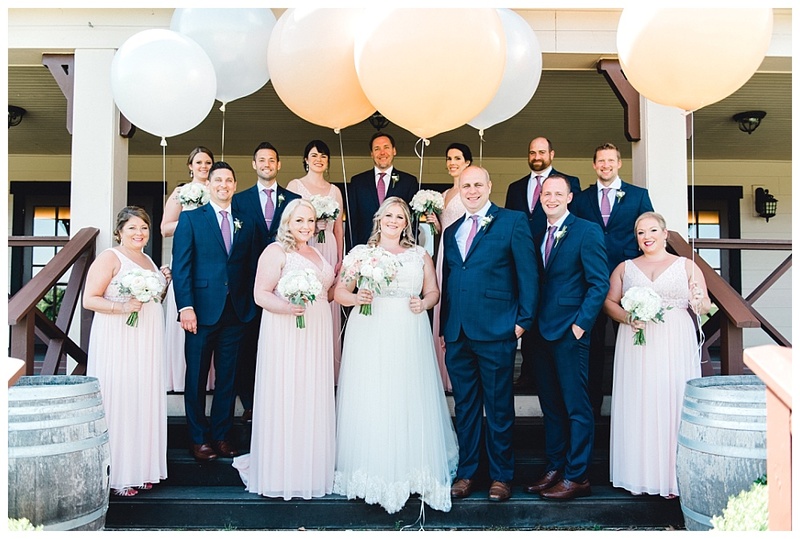 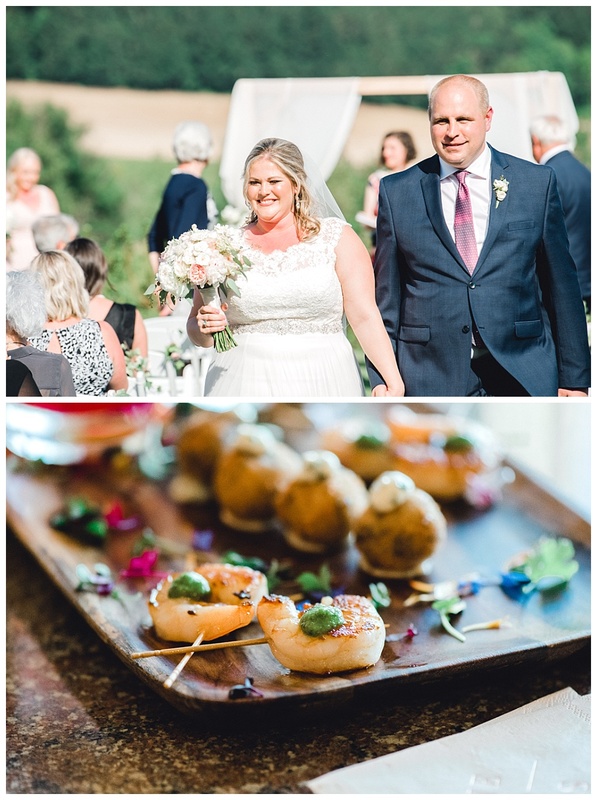 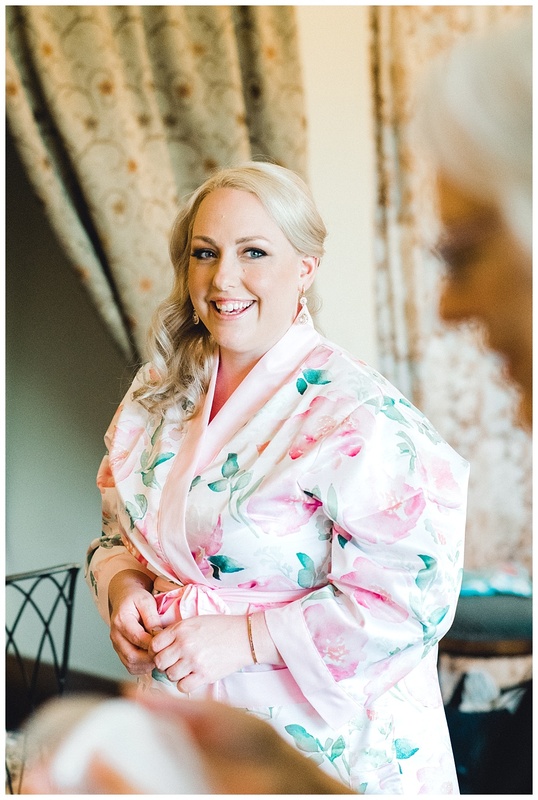 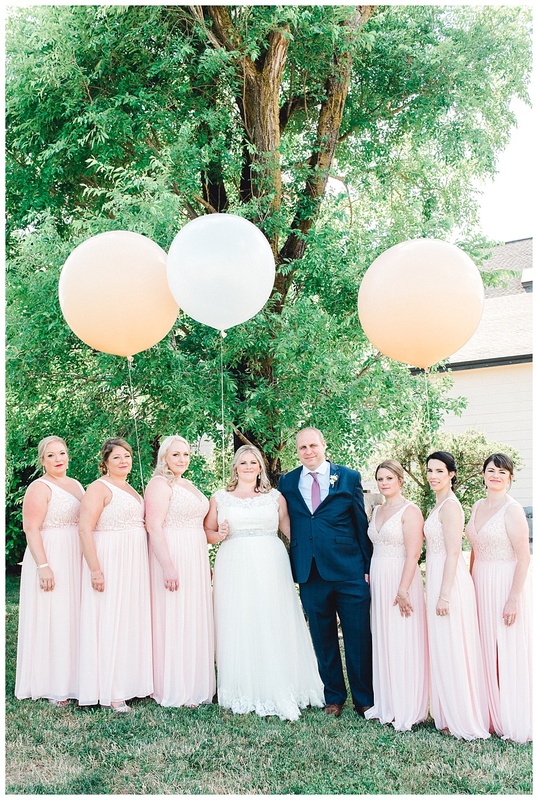 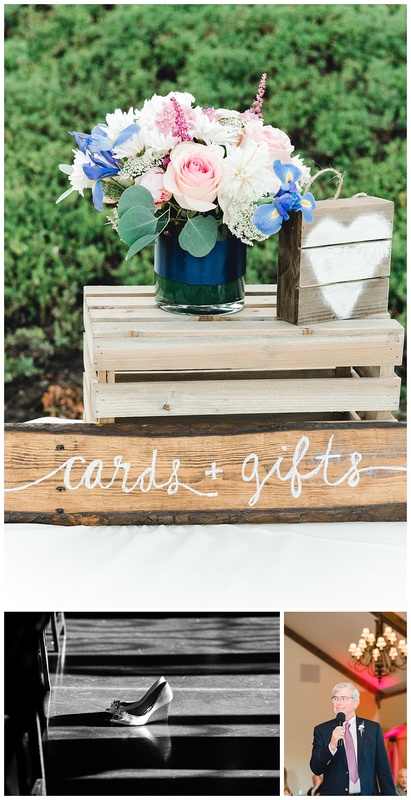 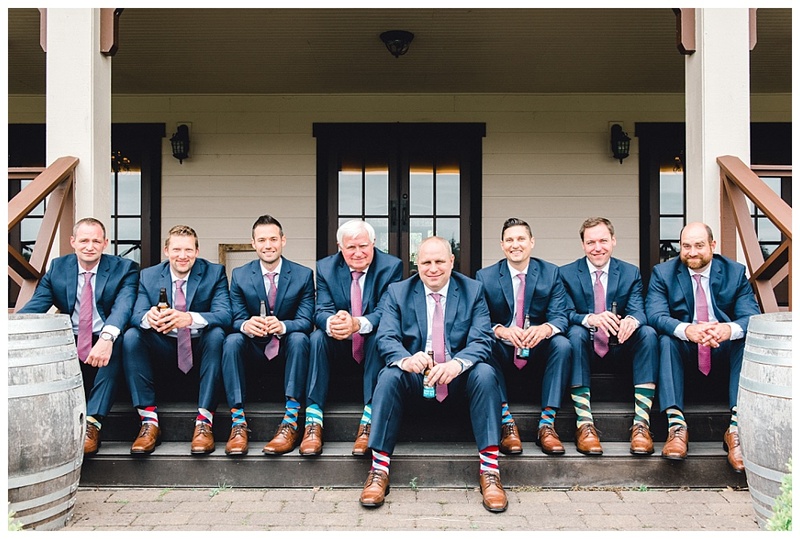 She worked as a wedding coordinator in a former life, so to say she had her stuff together when it came to this wedding, would be the understatement of the century! 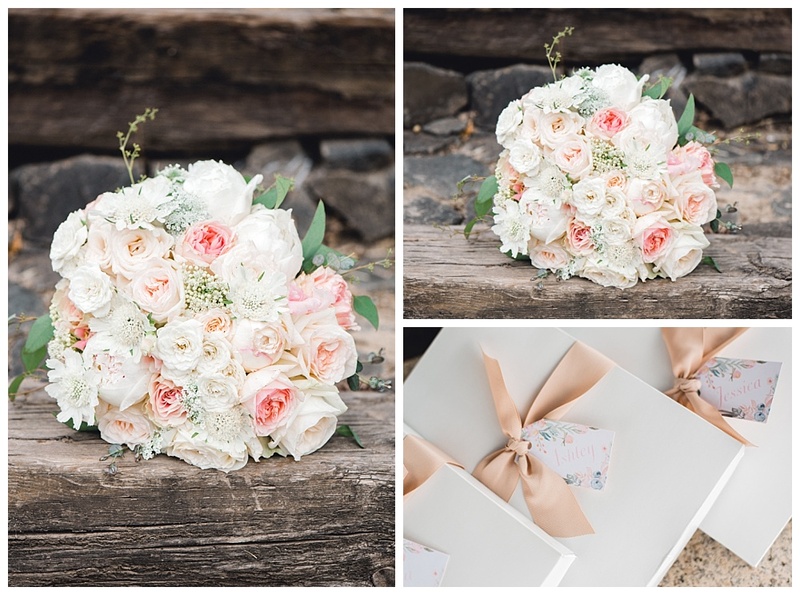 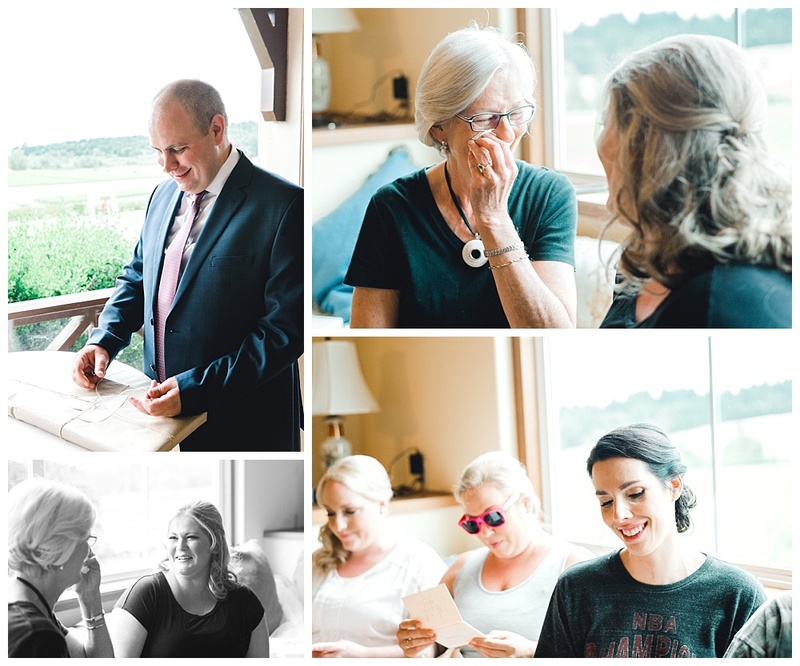 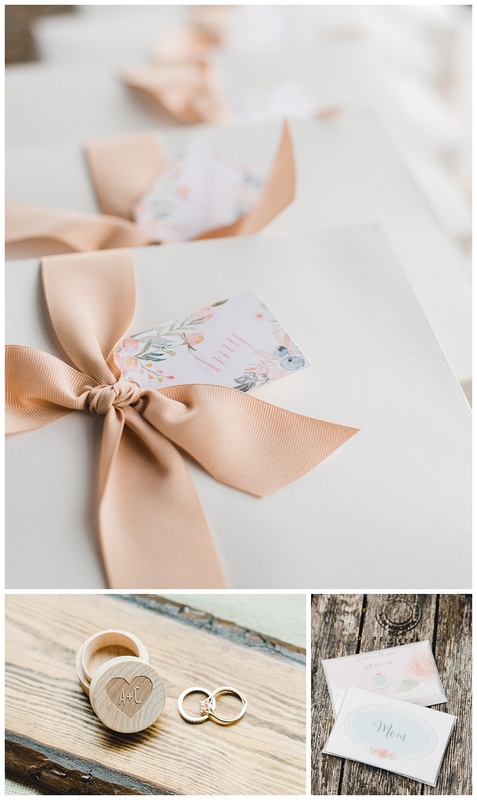 Honestly, her final wedding planning document was a serious thing of beauty–all ELEVEN pages of it! 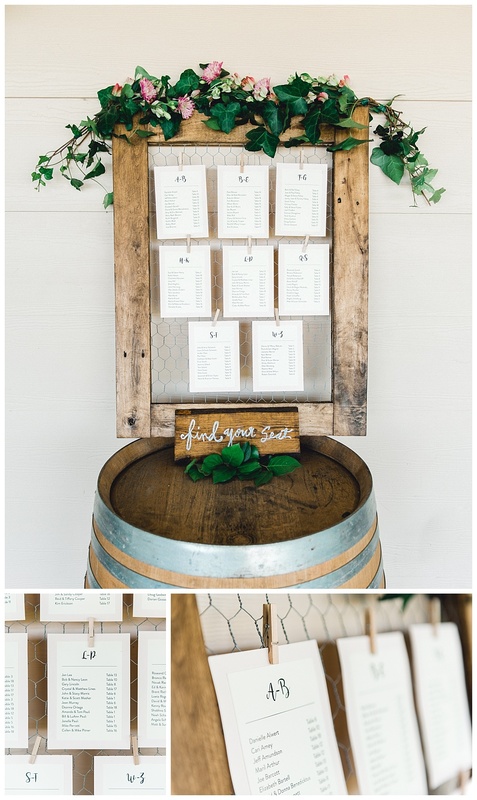 Yes, you read that correctly, eleven pages. 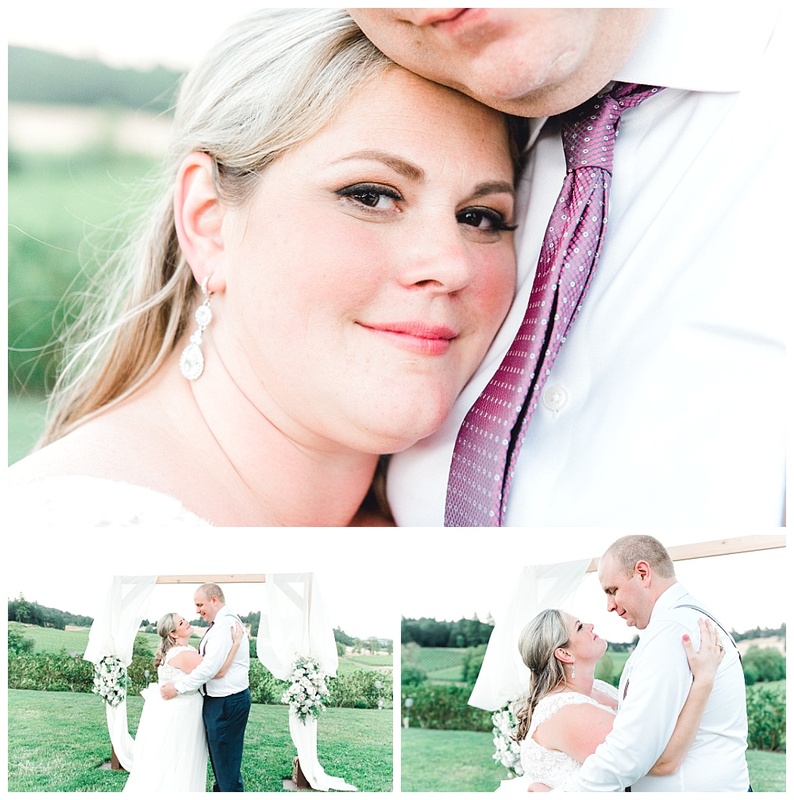 This girl had it together, and it really showed on her wedding day; everything went sooo miraculously smoothly! 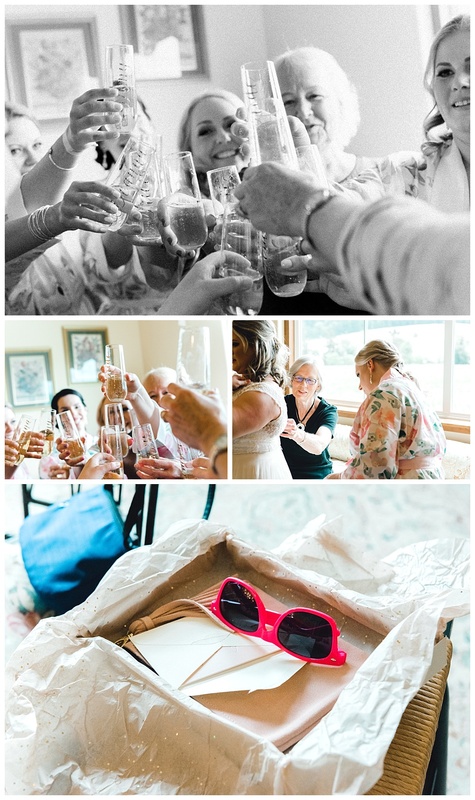 I’m sure the fact that they had such a fun and helpful bridal party helped things move along smoothly as well! 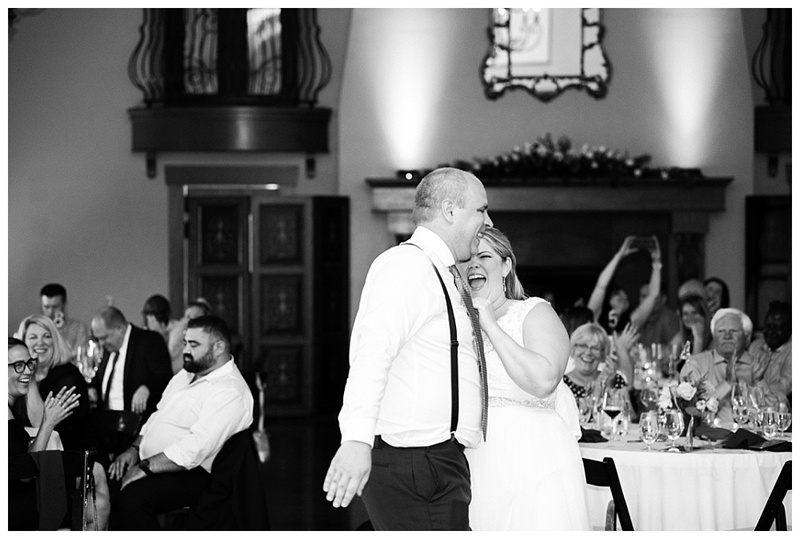 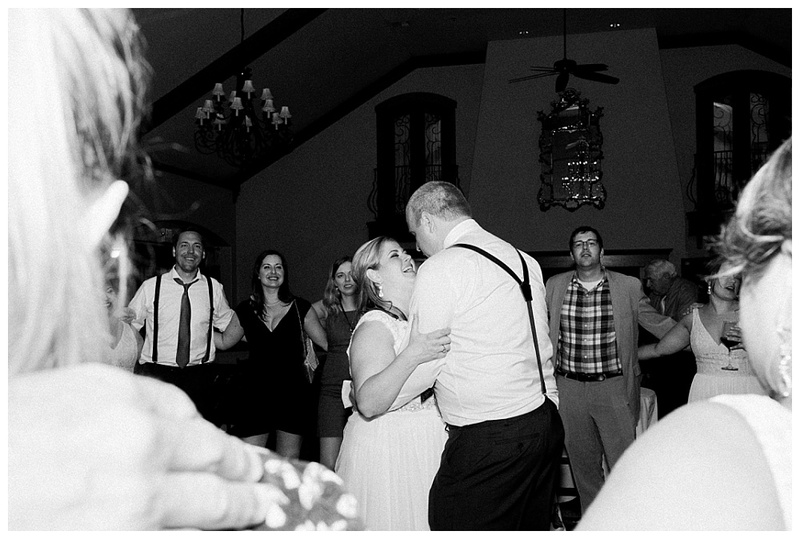 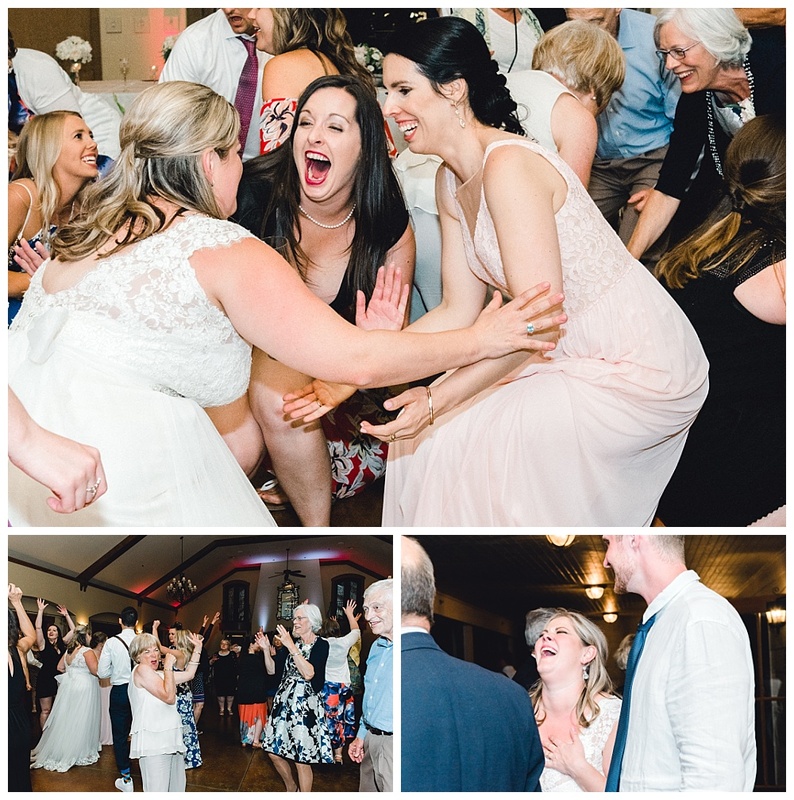 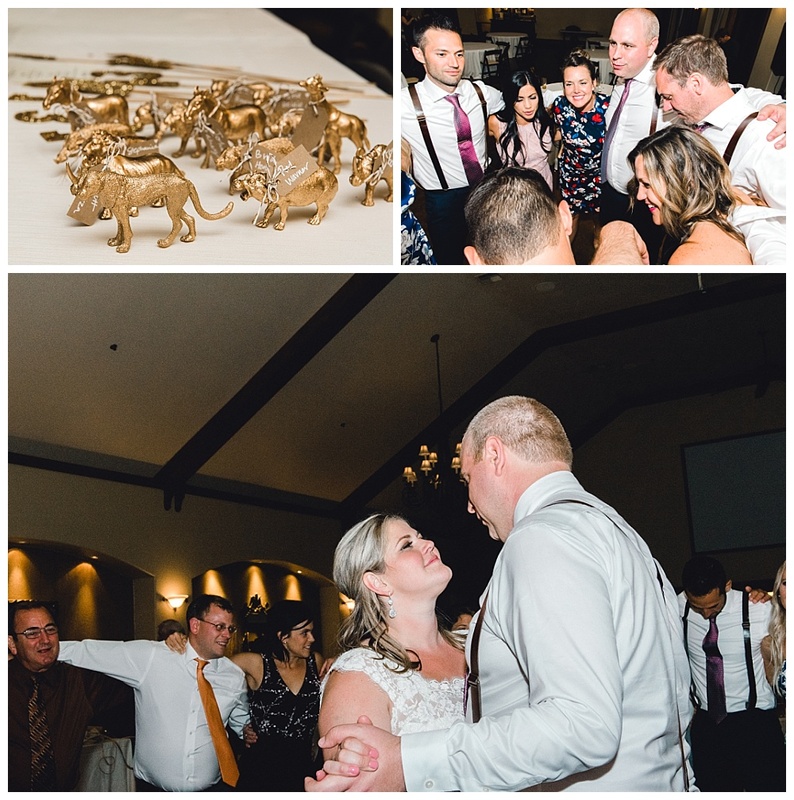 This bridal party really knew how to have fun and it was so nice to see everyone enjoy themselves so much. 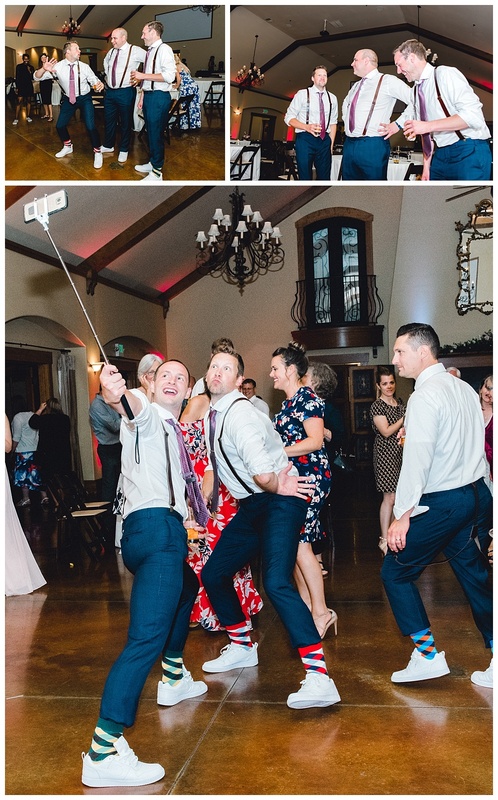 The groomsmen were goofballs and the bridesmaids were total sweethearts. 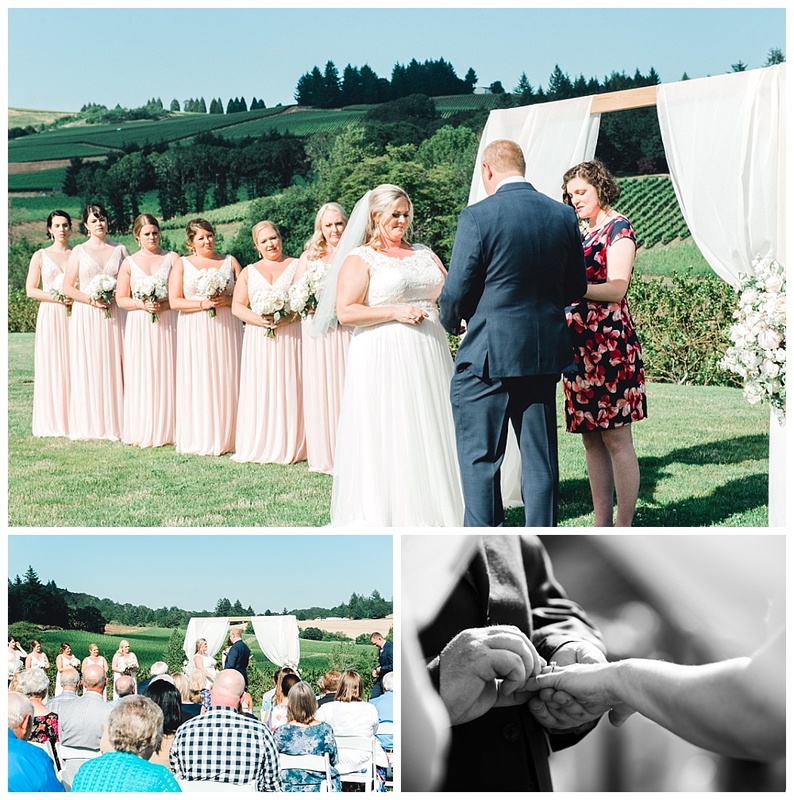 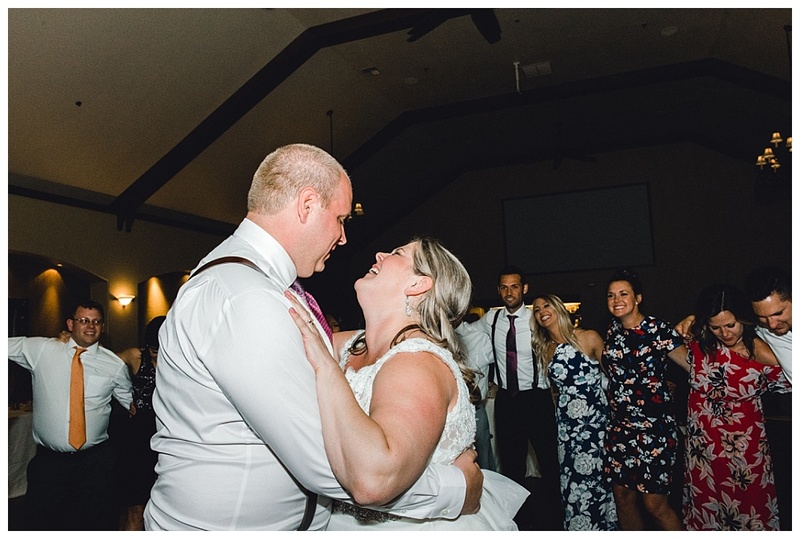 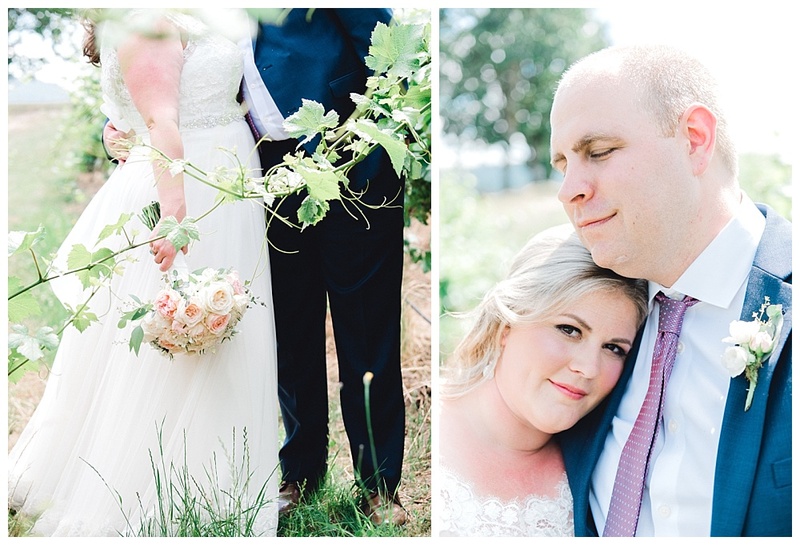 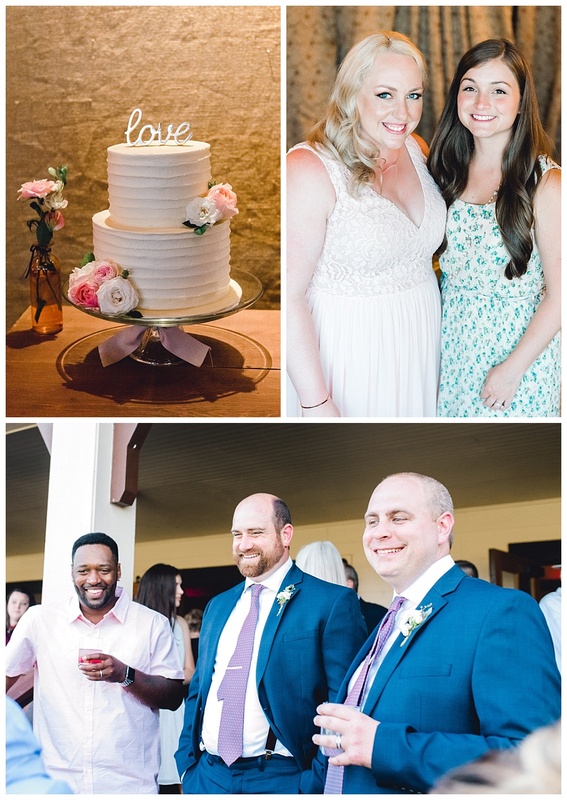 Thank you guys so much for including us in your perfectly-planned day–we were honored to be there to capture it for you.